24 years of combined experience. Over 3,000 criminal cases defended. CA State Bar certified expert in criminal defense. At Ahmed and Sukaram, we understand that a conviction for a criminal offense can have a tarnishing and devastating effect on your otherwise law-abiding and respected life. 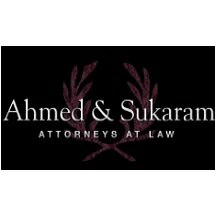 Whether you are a student, or a young or well-established professional, we at Ahmed and Sukaram can help you to avoid the stigma of criminal charges. We have successfully defended over 600 clients and we want you or someone you know to be our next satisfied client. Our track record proves that we have helped our clients have their case(s) dismissed, charges dropped, and/or charges substantially reduced. As skilled and passionate trial lawyers we have helped our clients to secure not guilty verdicts on all charges. When we go to trial, even if our client is not found not guilty on all charges, our client's have been found not guilty on major charges and therefore have received much better sentences following trial than they were offered before trial. At Ahmed and Sukaram, we are trial lawyers, and the District Attorneys know that. Because we have successfully fought for our past clients, you receive the benefit of the District Attorney offering you a better deal so that your case does not go to trial. But, our representation of our clients does not end at trial. When the trial court makes an error in your case, we personally handle your pre-trial and post-trial writs and appeals to make sure that the appellate court fixes it. Unlike other lawyers or law firms, we don't farm your appellate issues out to another lawyer or law firm who doesn't have the same interest, knowledge or passion about your case as we do. As the trial attorneys in your case we know how significant a favorable ruling from the appellate court can be in your case. We argue your case before the appellate court because we know exactly what it will take to place you in the best position to win. At Ahmed and Sukaram, we love the law and are passionate about it. All lawyers are not created alike. We are dedicated students of every arena of criminal law, procedure and practice. We spot issues where other lawyers don't. Because of our passion we have become recognized and cutting edge defense attorneys in the representation of our client's in driving under the influence cases and drug cases. We have also become recognized attorneys in our trial and appellate practice. However, our achievements are not ours alone. We are able to convince judges and juries that your position is correct because our firm only associates with the most reputable and respected experts in their fields. At Ahmed and Sukaram, we sacrifice our time, energy and lives so that you don't have to sacrifice yours. Your case is not just another source of revenue to us. Your successful defense is ours as well. Our reputation is important to us. We know that yours is important to you as well. Choosing an attorney to defend you against a criminal charge is a process that you should only have to go through once. Hire Ahmed and Sukaram from the outset. Don't lose your hard earned money by paying another attorney with more experience just to get you a standard deal. We consistently exceed your expectations and the competition's as well. Contact us right away so that we can immediately begin working on your case so that we can help you get your case dismissed, charges dropped or reduced, or an acquittal of all charges.